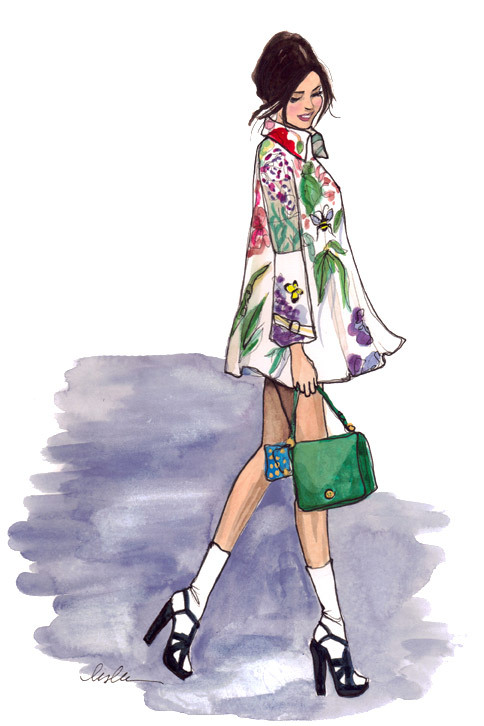 Last week I found a few fashion water color illustrations that I shared on Sunday Snippets and now I found a new illustrator I can't stop looking at. 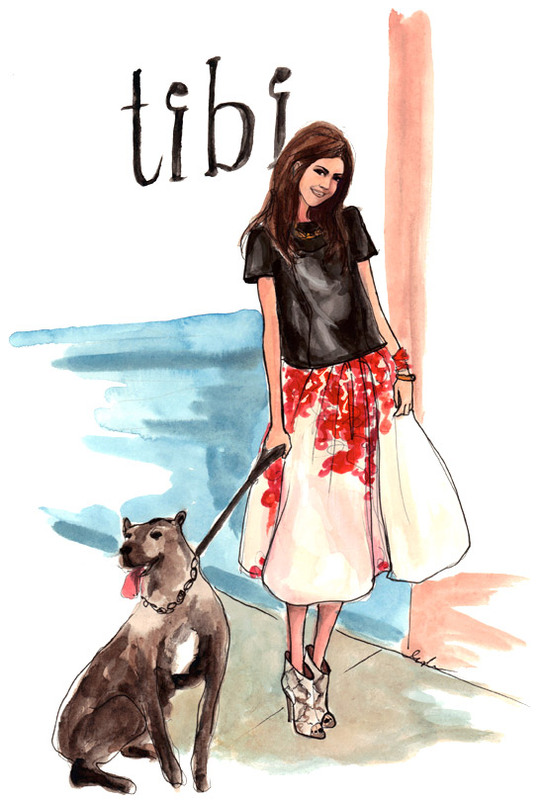 Inslee Haynes commissions illustrations for different publications as well as designs her own stationary. 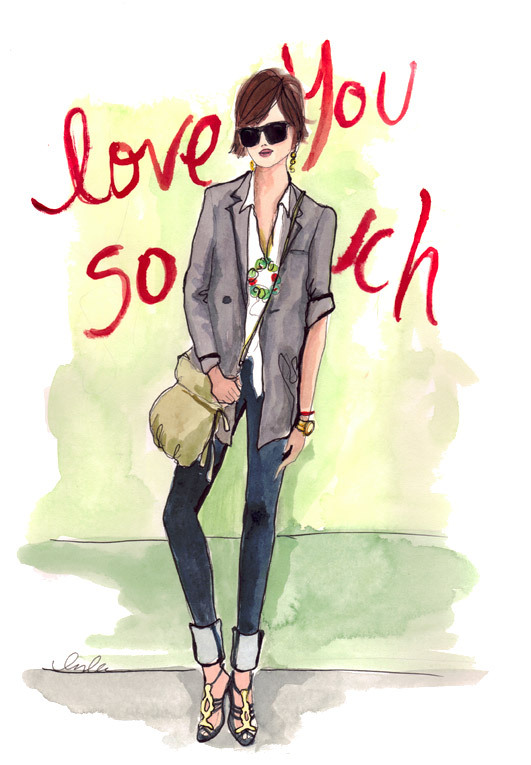 Browsing through her blog I saw so many of her drawings inspired by some of my favorite bloggers. I need one of these one day. I love this project she did for a recent bride to gift her bridesmaids. these are beautiful! i wish i had one, too! i bought pleather and am ready to make my own AA clutch, stay tuned--i'm adding a little somethin somethin extra. B- check out my new material on Etsy. 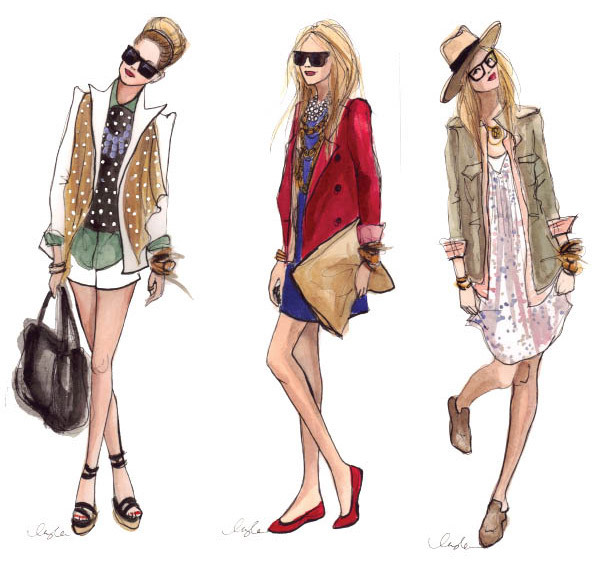 Each piece is PERFECT for summer!